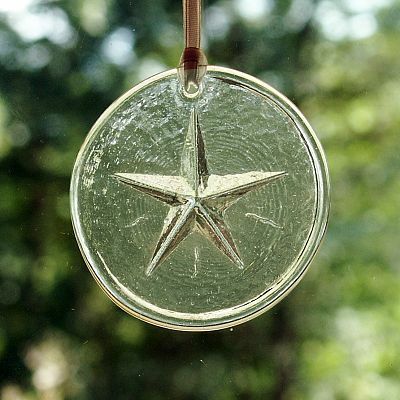 - The quiet beauty of a five-point star in clear glass. Approx. 2.75" in diameter. Comes with a satin cord for hanging. Do you have any other questions about our Starlight Ornament?